Try A Real Restaurant Recipe! cooking with confidence & style! Use these real restaurant recipes to cook delicious meals in your home! My name is Donna and for well over three decades I owned a very successful restaurant. And for over three decades my customers have asked for these recipes --recipes that actually work. Recipes for the food they enjoy on a daily basis. Their requests led me to the idea of building a website to share these winning recipes so you can cook with confidence & style. Until now, every recipe has been a secret recipe. Now you can use each of them to cook like a real chef right in your own kitchen! 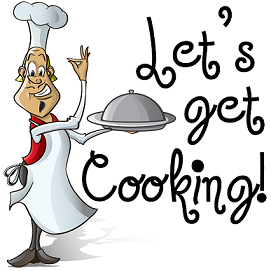 Cooking, or learning how to cook, need not be a mystery, nor a burden, nor even very time consuming. 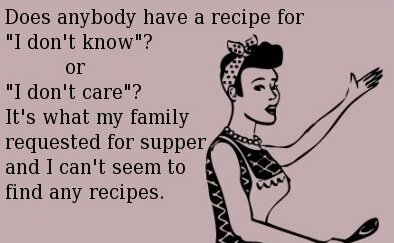 Finding quality, proven recipes has been the problem. 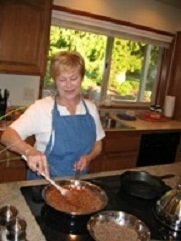 I have the right recipes on my website. Use them and you can cook with confidence & style. Want proof? Just click on testimonials to read about what people are saying. So if you want to cook great meals you are in the right place. Congratulations! If you want these recipes in a beautiful full color paperback or e-cookbook, just click here. Award Winning Bran Muffins and Blueberry Muffins. Seafood Fettuccine – A Signature Dish at the Restaurant. A House Sweet and Sour Dressing Recipe requested thousands of times. How to Cook an Egg – Read the article, you’ll enjoy it! A Quality Hollandaise Sauce you can make easily at home. A secret Almond Chicken Salad Sandwich Recipe that always sells out. The Best Ever Clam Chowder with Wild Smoked Salmon. Come on! Let’s get clicking. A new adventure awaits! Try these recipes ...they "work." But remember this: No recipe has a soul. You, as the cook, must bring soul to the recipes. Enjoy your restaurant recipes and the company of those you share them with!